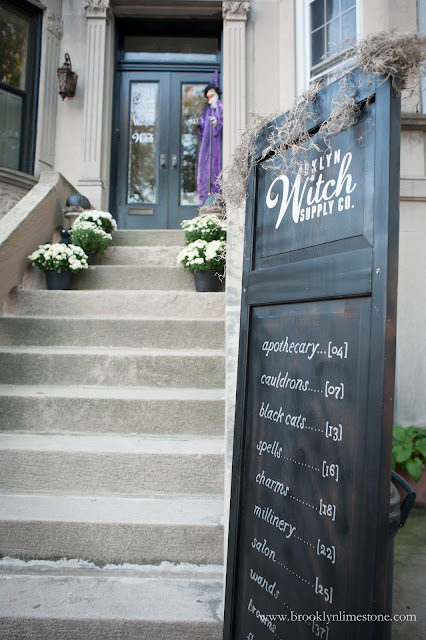 Witch Halloween Themed Decor - Fly in to the Brooklyn Witch Supply Co. It's that time again! 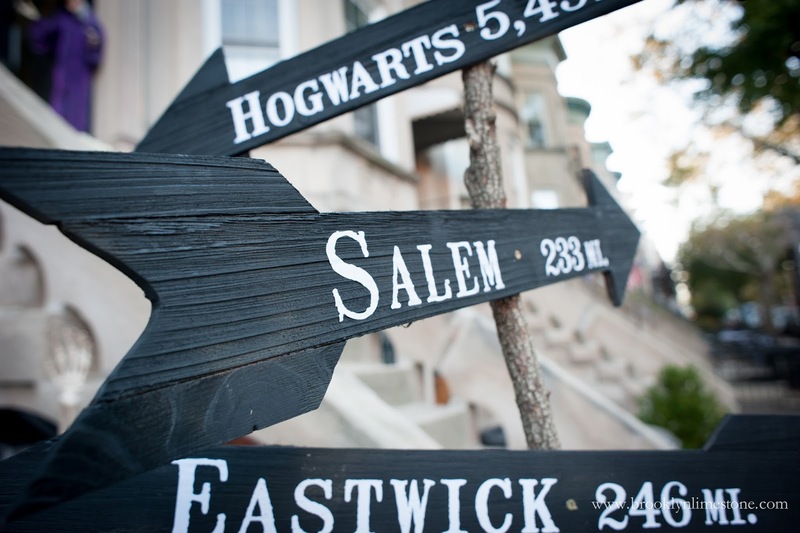 Halloween is just a few weeks away and the witch Halloween decorations are up. 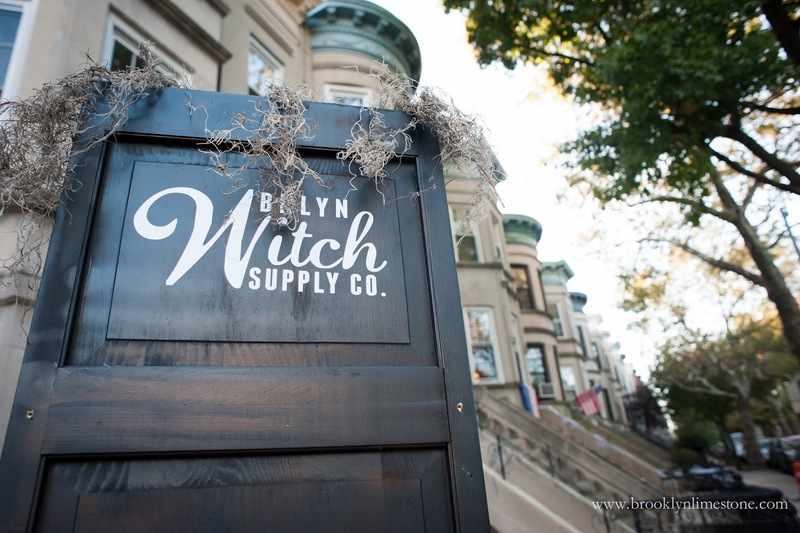 This year we went witch crazy with a Witch Supply Co. concept. 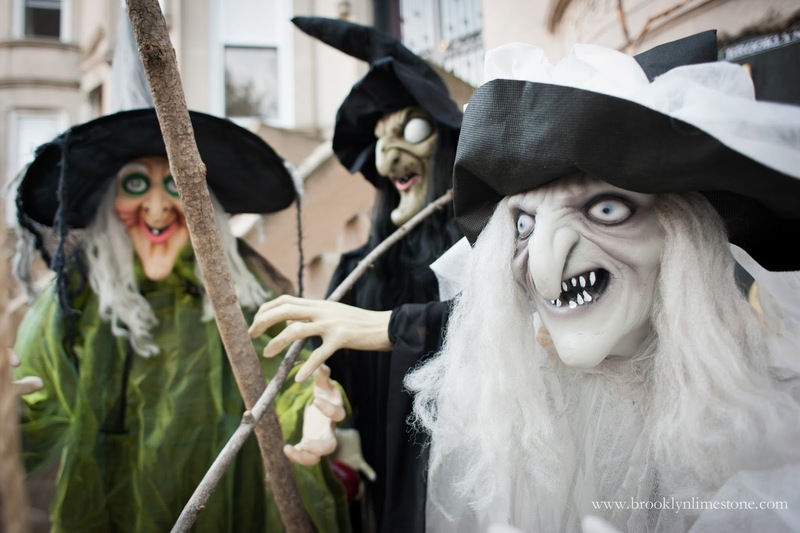 Why a witch Halloween? 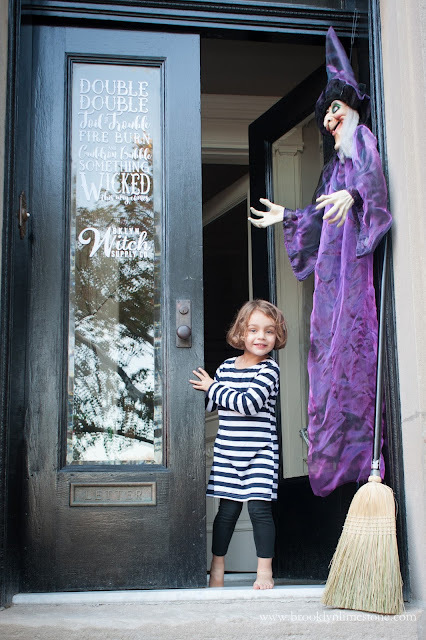 Well, I owe it all to Ms. Agatha herself who is a little obsessed with flying and witches these days so it seemed like a perfect not too scary theme to use this year. 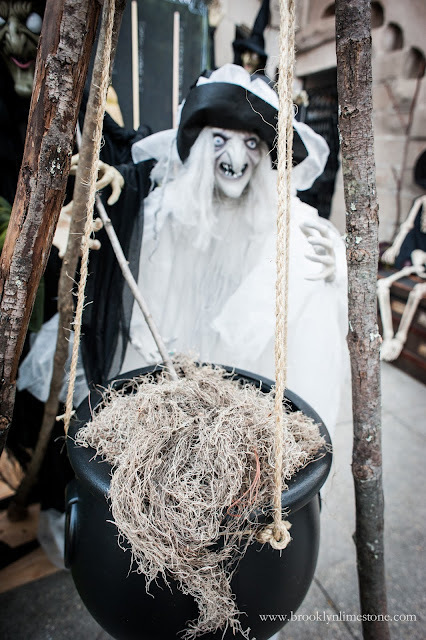 As you can see, we did a mix of both homemade and store-bought decorations. 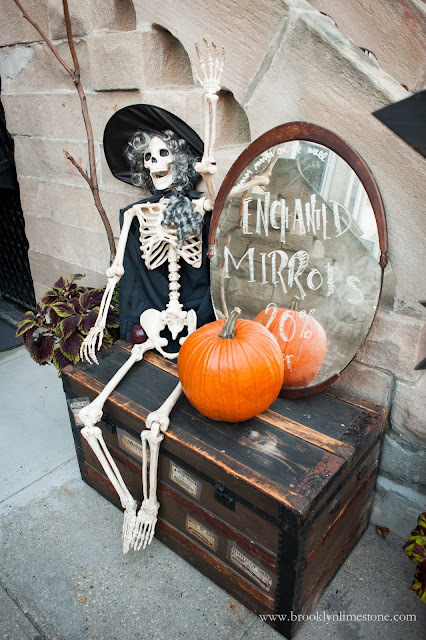 Some of my favorite elements started with pieces I picked up from the trash like one piece of a bi-fold door used to make this tall witch supply pricing board as well as the mirror and the trunk. Bravo, friend. SO WELL DONE!!! Thanks so much Michael. That means a lot coming from you. This is by far my most favorite one!!! You amaze me! Thank you Mami - you are too sweet. I think this is one of my favorites...and I love all your Halloweenifications! My favorite post of the year!!! This is so good! That logo is legit! And that picture of your daughter and her face—she is so happy! Thanks Emily. She is pretty excited. Now let's see if that enthusiasm lasts til Oct 31. Fingers crossed. You are my hero!!! 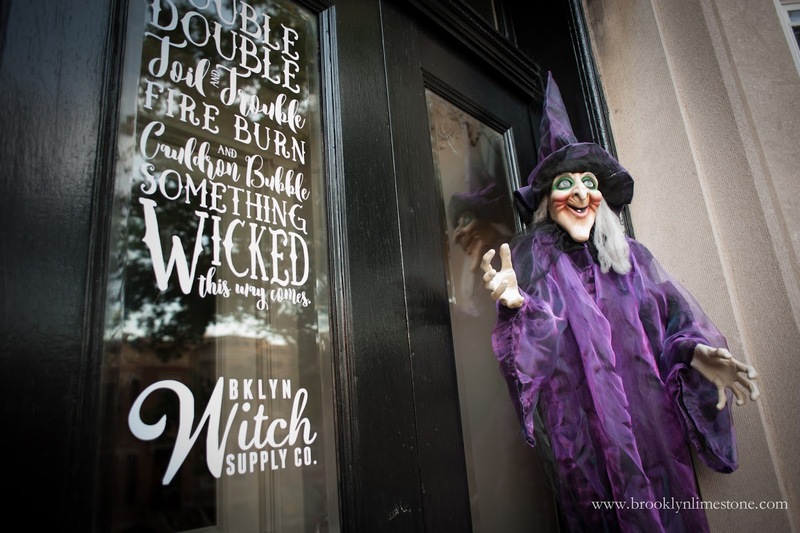 I hope you & miss Agatha are binge watching Double Double Toil & Trouble with MK & A every Halloween!!!! Amazing work girl!!! Is that a kid's show? If so, please share more. I only know that line from Macbeth. i always love seeing your theme each year! this is so awesome! Thank you Amy! Feel free to stop by. Longtime lurker popping in to say what an awesome job you've done. Simply amazing! Thanks for coming out of lurking and thanks for your sweet words. Thanks Linda! Hope you are doing well. Love love love it! You never disappoint! 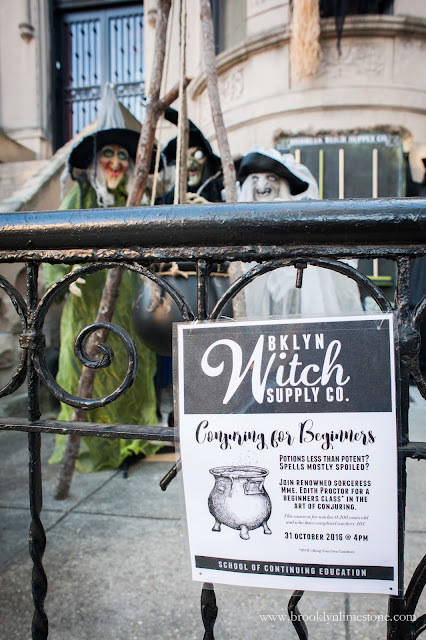 I love how you've managed to take something as ubiquitous as witches on Halloween and turn it into something totally fresh and new with the supply store concept! No Youtube videos but she loves a Netflix short based on a Julia Donaldson book called "Room on the Broom" . She would watch it all day if we let her. As usual a spectacular job! Well done. Unbelievable! My favourite post...anywhere...of the year! Thank you so much - that is really sweet of you to say.  I too am a longtime lurker to your site! I have been checking almost daily now for a couple weeks and was so excited to see the post with this year's theme! I love it! You always do such a great job! 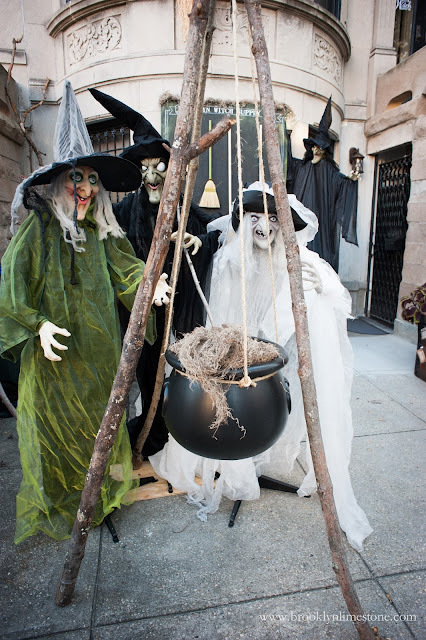 We go all out for Halloween and I am still trying to figure out my costume and thought about a classic, spooky witch and your post gives me the inspiration to go with that idea! Thanks Rebecca - I hope I inspired your costume. Would love to see what you decide to go with. She has grown so much!!!!!!! 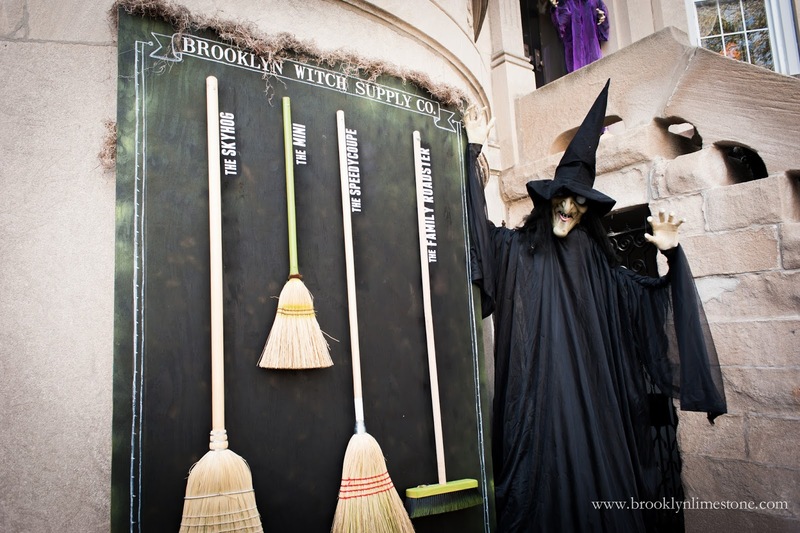 OMGoodness, the witches are so cute and the brooms! This is amazing and definitely my favorite theme. 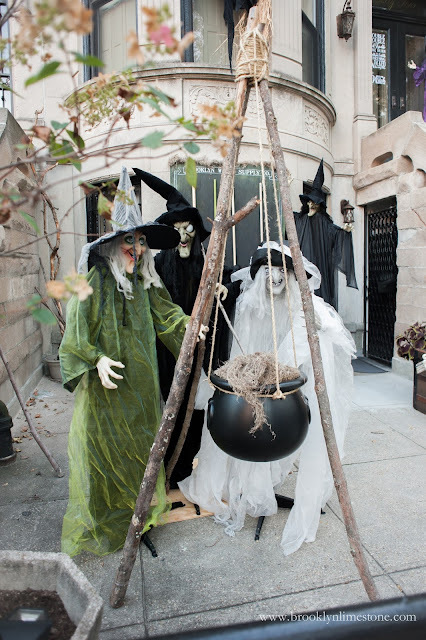 Then again as a child I went as a witch at least three times for Halloween. Thanks Soul Scribbles. I normally just draw on the glass with a chalk marker but I have a certain 3 year old who is a little bit obsessed with wiping whatever I've just finished off so I used a cricut machine (a desktop laser cutting machine) to cut some vinyl for the wording. Hope that helps! LOVE IT! 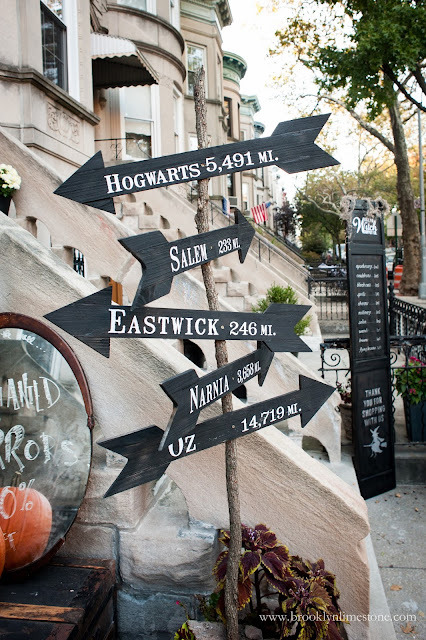 How do you make all of your customized signage? 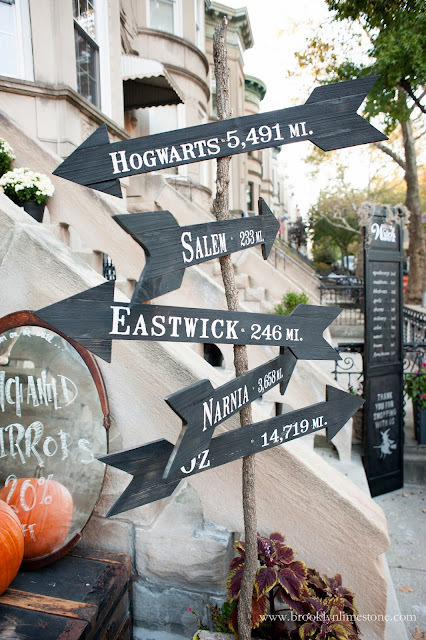 Makes me super inspired for my own Halloween party this weekend! Hope you and the kiddies have a blast! 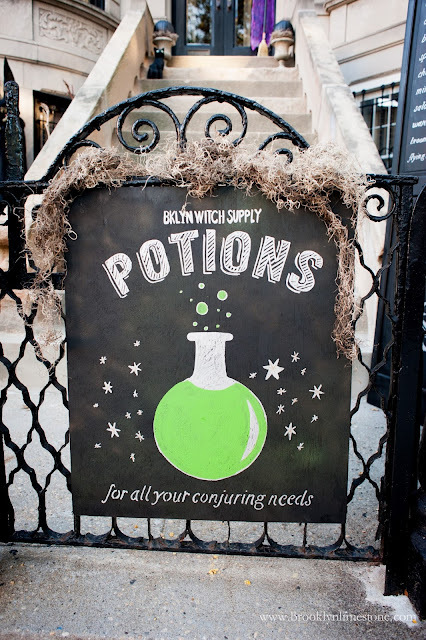 Where did you get your witches? Did you make them with masks, or were they already pre-made as a whole? I love them! This is so awesome! 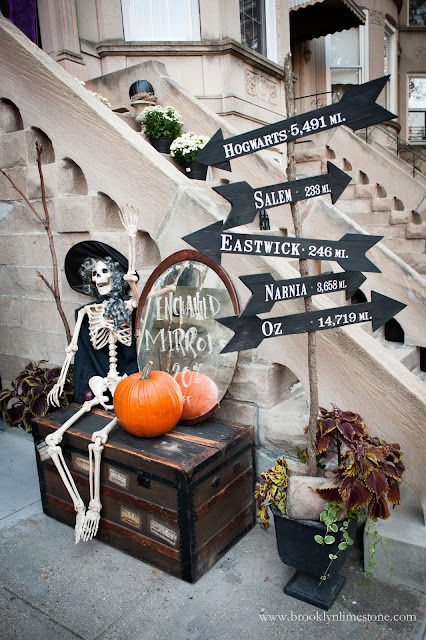 I really love love this theme - all the details are so creative and fun. I love that you manage to make every year seem fresh and new. 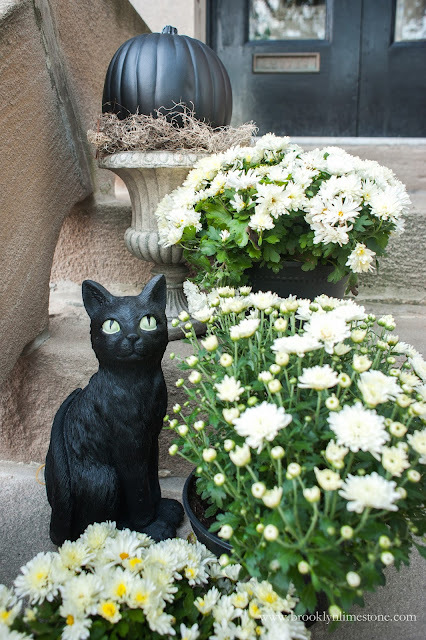 I'm not a huge Halloween decorator, but I love this. 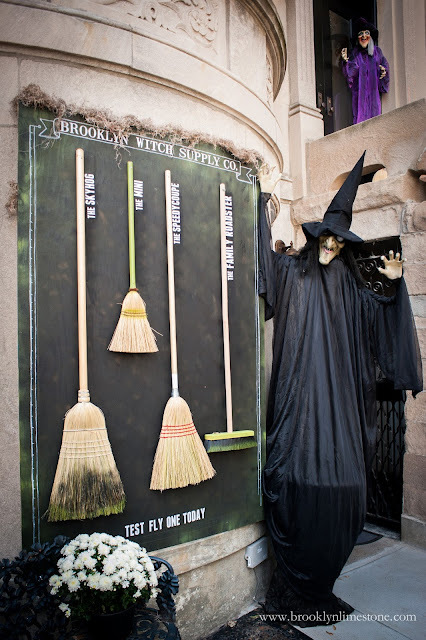 The witches and the door sign and the arrows and especially the broom decor. Just perfect. 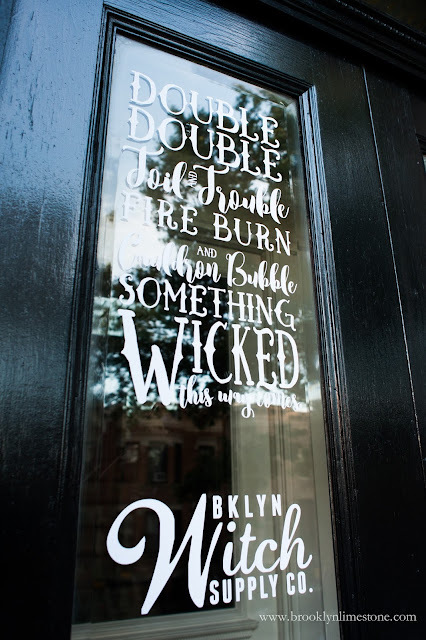 And that typography on your door is so awesome - I'm always inspired when I've seen you do this, and you have officially made me want to do this when I start decorating for Christmas.